First of all I'm a hugh fan of both fighters, they are both 'top of the tree' in their chosen trades, not only in terms of skill but also character and self promotion. These guys know how to sell a fight! The build up and media attention the fight will draw will be a advantage to both sports and business wise i can see why the fight WILL happen, it will be a huge spectacle and I look foward to the build up, it will be fun Mcgregor knows how to work the crowds and has a huge Irish fan base over in America. Floyd Mayweather also has a huge fan base of boxing fans, but also alot of people hoping to see him fail. But I'm affraid they can hope all they want, strange things can happen in this sport but there is no way i can see McGregor winning or even making this fight competitive. I have friends that fight MMA and i know how highly skilled they are at BJJ, Kick boxing, wrestling ect if you was to put any of us boxers in a cage with those guys we would box and move for as long as possible before being taken to the floor and tied in knots (Randy Couture v James Toney can be used as a example). This also applies to putting a MMA guy in a boxing ring with a boxer. We live, eat and sleep boxing this isnt something that can be taught over night. Head, hands and feet all have to work in sync to hit and not be hit. The movement of a MMA fighter is much different the shape of the punches thrown are wider, the stance is much more sqaure on. All of these could be classed as 'faults' in boxing but are needed in MMA. 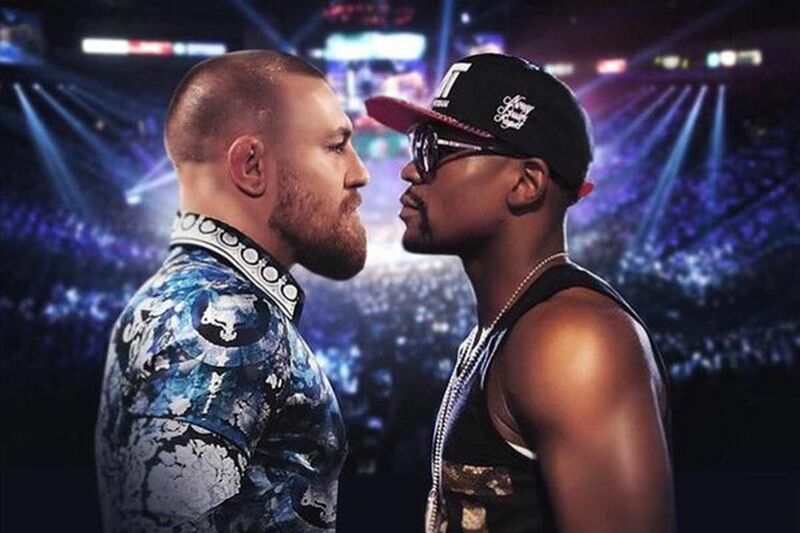 Although Im sure Conor has worked on his boxing leading up to this the main problem here is he isnt facing just any old boxer, Floyd Mayweather Jnr is one of the greatest fighters of our era and very often made great fighters such as Marquez, Canelo ect look pretty ordinary. The only chance McGregor would have you think would be a punchers chance, but with the top level fighters over 20+years barely being able to land a glove on Mayweather and the rare times it has happened the chin looks solid! So I cant even say he has a punchers chance. Footage iv seen of McGegor boxing he looks very able but very raw. My opinion is Mayweather plays with him for 5/6 rounds then ends it between 7/9 if i was forced to give one. But as a boxing fan the build up should be fun but this isnt a fight thats going to produce the goods im afraid.